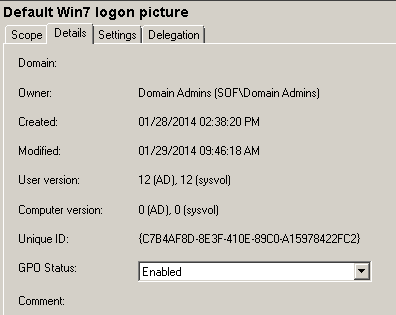 The default windows logon picture, while very stock is a bit boring. 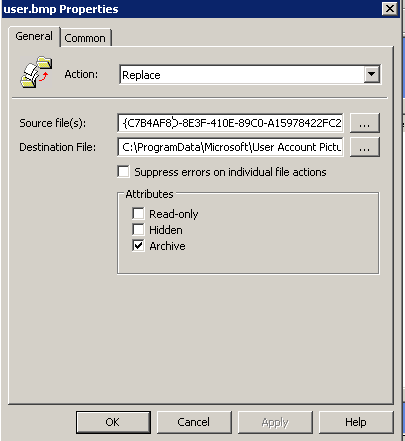 If you’re in the corporate environment where a more suitable logon picture is preferred, here are your steps to adding a default picture to all user’s profiles. First, pick a picture and make your edits to make it EXACTLY 128 x 128 pixels (you can use the picture in this post as a guide). Make your edits accordingly and make sure to save it with a .BMP extension. 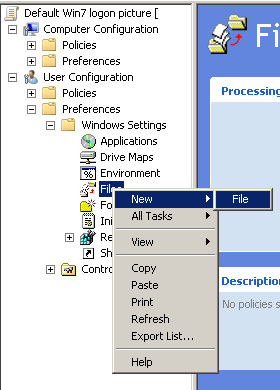 Lastly, apply the GPO to the proper User OU and make sure to do a Gpupdate /force. *Alternatively, you can place your .BMP in a separate share on your network, ideally a DFS model will do as a general share requires full permissions. The size of this particular .BMP was only 100KB, so Active Directory replication will be minimal.